In honor of the commencement of the 2012 Olympics, for today’s Destination of the Week, we visit the city where it’s all taking place: London. London is less than seven hours from New York, and under eleven hours from the west coast, and is serviced by five airports—though you’ll likely pass through just one of two of them unless you’re headed on to other destinations. London Heathrow’s glittering Terminal 5. London Heathrow-LHR is one of the busiest airports in the world with five major terminals (one is currently under renovation), including the huge, shiny British Airways Terminal 5, which has great stores and restaurants as well as BA’s flagship Galleries and Concorde lounges. 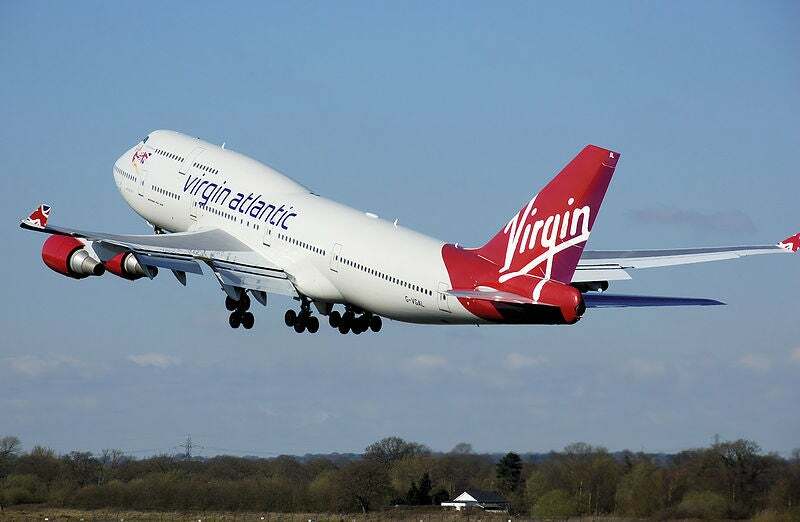 All four major US legacy carriers—American, Delta, United and US Airways—fly here, and Heathrow is the hub of British Airways and Virgin Atlantic, so you can find award tickets on any of the three alliances, as well as using miles from non-alliance partners, such as ANA miles on Virgin Atlantic. From North America to Europe, American will require between 20,000-60,000 miles each way for an economy redemption, Delta charges between 60,000-125,000 for a roundtrip economy ticket, United will require 30,000-55,000 miles each way, and US Airways charges 35,000-125,000 miles roundtrip. 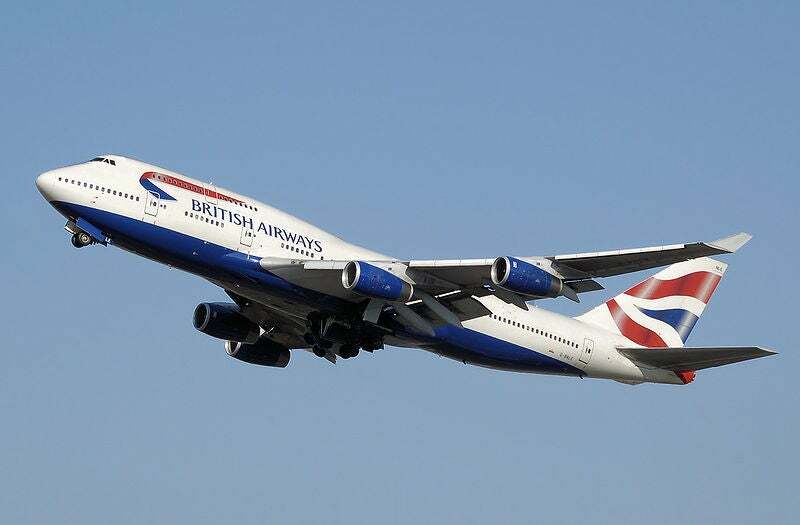 British Airways’ Avios points system is distance-based, so the mileage necessary for award redemptions will depend both on your origin city and your class of service. For example, a roundtrip economy award ticket on BA from New York or Chicago will cost 40,000 Avios, from Los Angeles 50,000. Virgin’s system is also (sort of) distance-based, and a roundtrip economy ticket requires 35,000 miles from New York, 38,500 from Chicago, 45,000 from Miami and 47,500 from Western US destinations like LA and San Francisco. Just beware, flights to and from London charge some of the world’s most egregiously high taxes and fuel surcharges, so that award ticket could still end up costing you hundreds if not thousands of dollars depending on the class of service- especially on British Airways and Virgin Atlantic. The airport is just 15 miles west of the city, and is very easily accessible by public transportation. The Heathrow Express train to Paddington costs £18 ($28) one-way, or £34 ($53) roundtrip and takes just 15 minutes. Taking just 15 minutes, it’s the fastest way from the airport to the city. The Piccadilly line of London’s Underground also runs all the way out to the airport and takes just under an hour to get from central London to the airport for a fare of £5.30 ($8). A taxi to or from there can cost up to £60, and can take a very long time depending on London’s notoriously bad traffic. London’s other international gateway from the U.S. is Gatwick-LGW, about 30 miles south of the city. It receives flights from US Airways as well as those of Virgin Atlantic from Las Vegas and Orlando, and BA from Orlando and Tampa. Taxis are readily available to the city, though very expensive and can take a long time to reach central London, so consider taking the Gatwick Express train to central Victoria Station instead for £16.85 ($26) one-way, or £27.90 ($44) roundtrip. It takes just 30 minutes, making it the fastest way into the city. The other three airports you might pass through if you’re heading on to other cities in the U.K. or Europe are Stansted (STN) 35 miles east of London, Luton (LTN) 30 miles north, and London City (LCY) airport. Double guest room at the Radisson Blu Edwardian Berkshire. Radisson Blu Edwardian Berkshire Hotel: Located steps away from Oxford Street and Bond Street, this hotel has 147 guestrooms decorated in a palette meant to appear natural and soothing, with wool carpet and original artworks. The bathrooms feature Sicilian marble and all rooms come with complimentary high-speed internet access. The hotel’s restaurant, Ascot’s Bar and Restaurant, features traditional British food. The hotel offers 24-hour room service and while there is no spa on property, they do offer in-room treatments. Rates in August start at £205 ($320) per night or 50,000 Gold Points since this is a Category 6 hotel. There are 17 other Club Carlson hotels in the city including the Radisson Blu Edwardian Bloomsbury Street Hotel, Radisson Blu Edwardian Sussex Hotel and The May Fair. Exterior view of the London Hilton Park Lane. 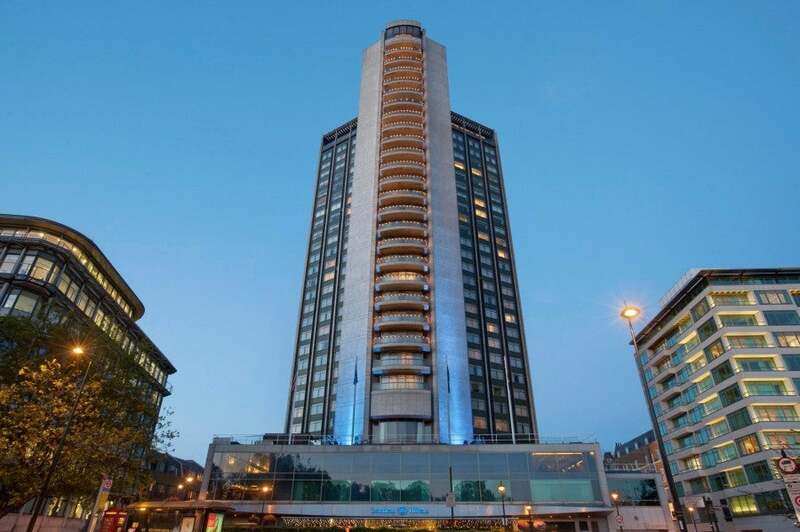 London Hilton on Park Lane: This property has 453 guest rooms, including 56 suites. Guests staying on the executive floor as well as Hilton Diamond members have access to the Executive Lounge, which serves complimentary food and beverage throughout the day. There are five bars and restaurants including the 28th floor, French haute-cuisine, Galvin at Windows Restaurant, and the French Polynesian Trader Vic’s Restaurant and Bar. The Purity Spa and fitness center has a sauna and steam room for guests to use. Rates in August begin at £279 ($440) per night or 50,000 Hilton HHonors points since this is a Category 7 property. 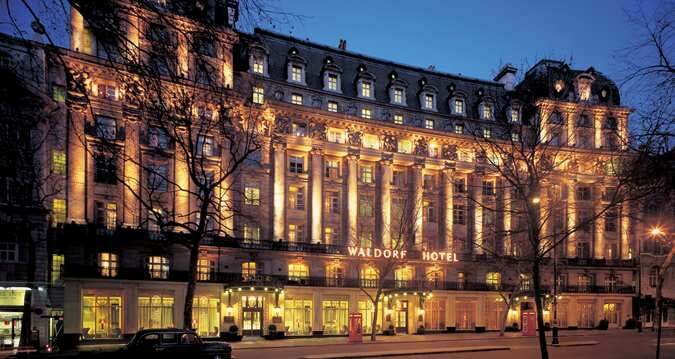 The Waldorf Hilton is located in London’s West End. The Waldorf Hilton: Located in London’s West End in the theatre district, this property has 298 guest rooms, all of which feature plasma TV’s and WiFi, and bathrooms have Edwardian-style marble washstands as well as rain showers. There is also an Executive Lounge with complimentary continental breakfast, afternoon tea, evening canapes and all-day refreshments. The hotel has a 14-meter heated indoor pool, sauna and steam room and provides access to the LA Fitness health club. Dining options include Good Godfrey’s Bar and Lounge and Homage Grand Salon. Rates in August begin at £219 ($345) or 50,000 Hilton HHonors points since this is a Category 7 property. 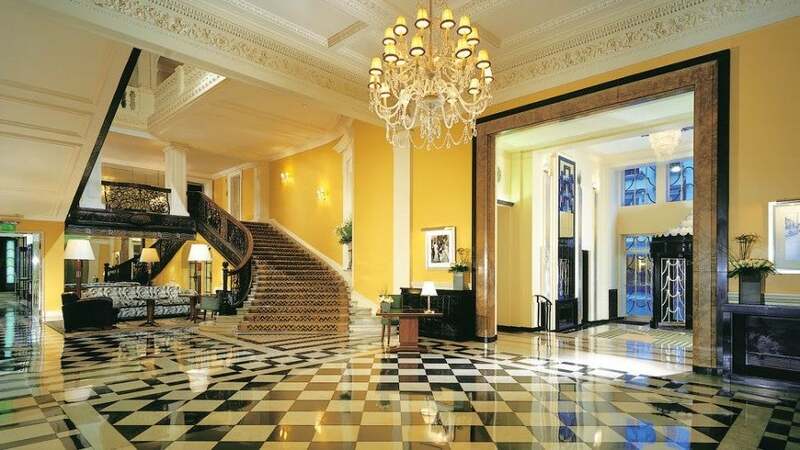 There are a dozen other Hilton properties in London including the Hilton London Metropole Hotel, The Trafalgar London, Hilton London Green Park Hotel, Hilton London Euston Hotel, The Bentley London, A Hilton Hotel, Hilton London Hyde Park Hotel, Hilton London Islington Hotel, Hilton London Paddington hotel, Hilton London Tower Bridge Hotel, Hilton London Olympia, London Syon Park Hotel, a Waldorf Astoria and the Courthouse DoubleTree Regent Street. All of these are currently Category 7 properties so free nights begin at 50,000 Hilton Hhonors points per night. King guest room at the Andaz Liverpool Street. Andaz Liverpool Street: Located in a redbrick Victorian building dating back to 1884, this hotel has 267 modern guestrooms with LCD TV’s and iPod docking stations. Typical for Andaz properties, internet access, local phone calls and non-alcoholic drinks in the mini-bar are all-inclusive throughout the stay. Guests can choose between 1901 Restaurant & Wine Bar, Miyako, Catch, Eastway, and George, all of which are located within the hotel. There is also an on-site health club and in-room spa treatments are available. Rates in August start at £170 ($265) per night. This is only a Category 5 hotel, so free night redemptions require 18,000 Gold Passport points for standard rooms and 27,000 for suites. 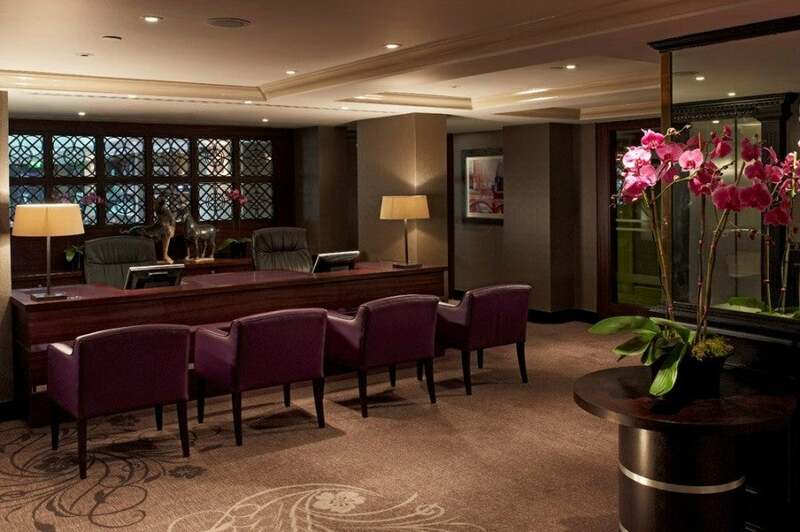 Reception area at the Regency Club at the Hyatt Regency London-The Churchill. 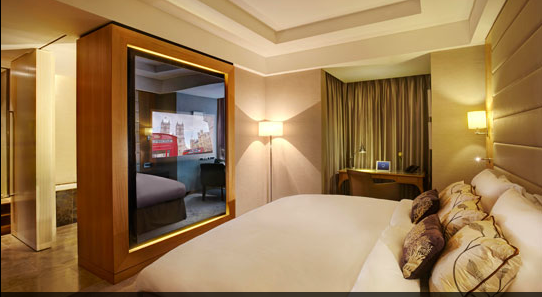 Hyatt Regency London – The Churchill: Nestled in Central London’s West End, this property has 434 rooms and suites. Regency Club guests and Hyatt Diamond members have access to the Regency Club which serves a continental breakfast, evening cocktails and canapes. There is also the 24-hour Churchill Health Club for guest use. The hotel’s main restaurant is The Montagu which has a wide range of British seasonal dishes, all of which are prepared in a open kitchen. Rates in August start at £320 ($500) per night. This is only a Category 6 hotel, so free night redemptions require 22,000 Gold Passport points for standard rooms, 27,000 for Regency Club rooms and 33,000 for suites. 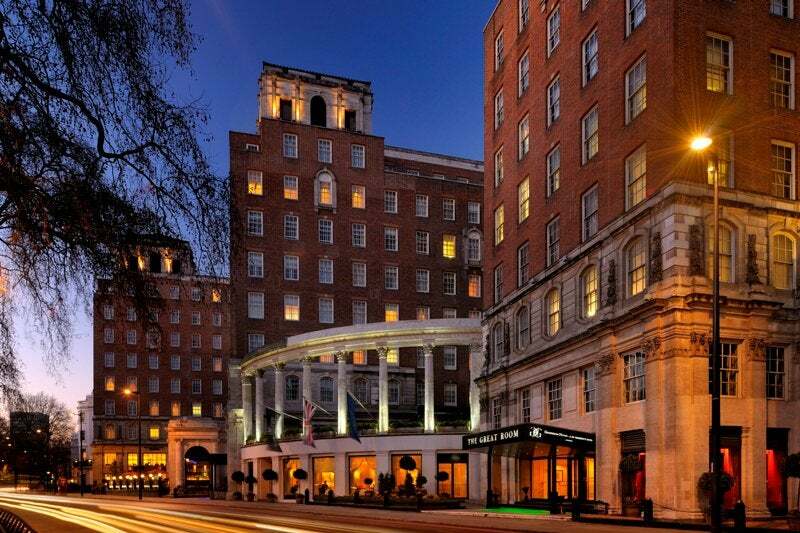 The Grosvenor House is located in central London in Mayfair. Grosvenor House, A JW Marriott Hotel: Dating back to 1929, this historic property underwent a complete transformation in late 2008. Located in Mayfair, the hotel has 420 guest rooms and 74 suites. There is a Concierge level with a lounge offering a continental breakfast, snacks and fresh fruit, hors d’oeuvres and complimentary beer and wine in the evening. There is an on-site fitness center and Sanrizz hair salon. The hotel also houses the JW Steakhouse serving American USDA prime beef. Rates in August begin at £249 ($390) a night. This is a Marriott Category 8 property, and requires 40,000 Marriott Rewards Points (35,000 with PointSavers) for a free-night redemption. The St. Pancras Renaissance features the St. Pancras Spa. St. Pancras Renaissance London Hotel: Designed by Sir George Gilbert Scott, this iconic property has 245 guest rooms including 38 suites all with flatscreen TV’s and high-speed internet. The hotel also has a Chambers Club which offers breakfast, light meals around the clock, tea service, spa vouchers & butler service. Dining options include the Booking Office and The Gilbert Scott Bar and Restaurant. The property is home to the St. Pancras Spa with Victorian tiled pool, fitness center, steam room, and sauna. Rates in August begin at £195 ($305) a night. This is a Marriott Category 8 property, and requires 40,000 Marriott Rewards Points (35,000 with PointSavers) for a free-night redemption. Other Marriott properties in London include the London Marriott Hotel County Hall, London Marriott Hotel Park Lane, London Marriott Hotel Grosvenor Square, London Marriott Hotel Marble Arch, London Marriott Hotel County Hall, London Marriott Hotel Regents Park, London Marriott Hotel Maida Vale, and the London Marriott Hotel Kensington. A guest room at the soon-to-open Intercontinental Westminster. Intercontinental Westminster: This new hotel will open its doors toward the end of 2012 in a historic former government building called Queen Anne’s Chambers. It will have 256 guest rooms 7 meeting rooms, and a restaurant called The Chambers Bar & Dining Rooms that will serve American-style smoke house meat and grill dishes. The hotel will have an all-new gym, a completely up-to-date business center, and rooms will come standard with flatscreen TV’s with cable and satellite, DVD players, in-room high-speed internet, work desks, and all-marble bathrooms with separate walk-in showers and baths and featuring high-end Agraria bath products. Rates are not yet available, but since this is an Intercontinental, free-night redemptions will start at 30,000 points a night. Exterior view of the Hotel Indigo Tower Hill. 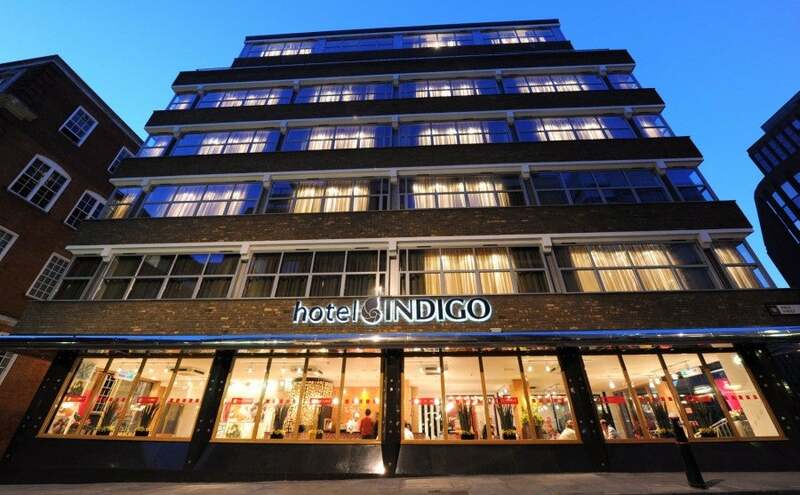 Hotel Indigo Tower Hill: This boutique-style ICH hotel is in the Square Mile in London’s financial heart close to St. Paul’s, so it’s a good choice for business travelers—especially thanks to free WiFi and complimentary guest membership at LA Fitness. The hotel has a restaurant serving British fare called Square Mile Kitchen & Lounge, and rooms have unique touches like four-poster beds, iPod docks, large work desks, and minimalist stone bathrooms with glass-enclosed showers. Rates in August start at $155, or 35,000 points. There is also the Intercontinental London Park Lane, a new Hotel Indigo at Paddington, four Crowne Plazas, and several Holiday Inns and Holiday Inn Expresses throughout the city. 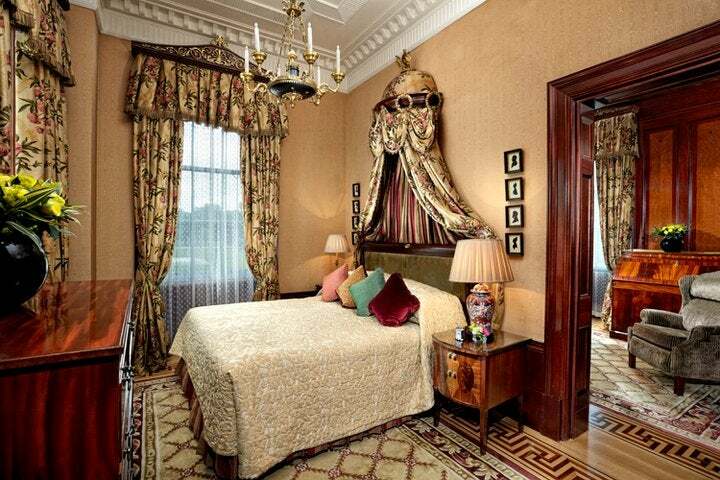 The Apsley Suite at the Lanesborough. The Lanesborough, a St. Regis Hotel: Situated in Knightsbridge, this intimate hotel has only 93 guestrooms including 43 suites, and all come with butler service. While all the rooms have modern amenities, they are concealed within the 1820’s-style décor, and bathrooms are done in Carrara marble. Apsleys is the signature restaurant specializing in Italian cuisine by renowned chef Heinz beck. The hotel has the Spa Studio at The Lanesborough, which offers a range of treatments and has a fitness studio and steam room. Rates in August start at £415 ($650) a night. Due to the nature of this hotel, this property has no SPG participation, so using points here is not an option. However, it is a member of Visa Signature hotels, so you can score great perks by using a Visa Signature card to pay for your room (see below). A Wonderful room at the W London. 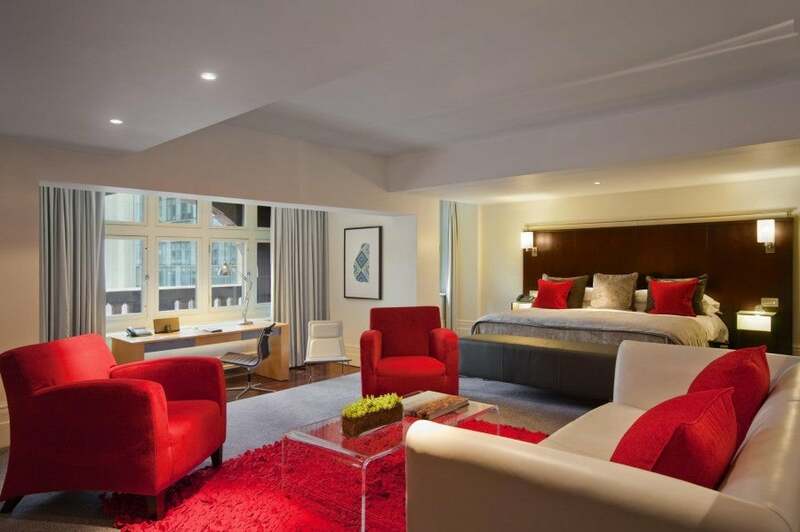 W London – Leicester Square: This hotel has 192 guest rooms and suites ranging from Wonderful rooms to the 1,600-square-foot Extreme Wow Suite. All the rooms come equipped with high-speed internet access, Bang & Olufsen flatscreen TV’s and an iPod docking station and feature W’s signature bed with pillow-top mattress. Guests have access to SWEAT, the fitness center and the Away Spa with steam room, sauna and Jacuzzi. Spice Market by chef Jean-Georges is the hotel’s main restaurant and features Southeast Asian cuisine. 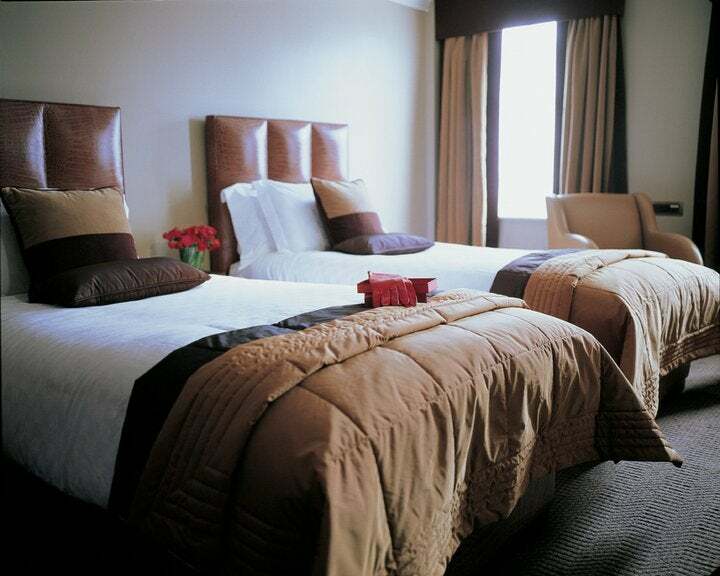 The hotel has their own screening room and provides complimentary Acura car service within five miles of the hotel. Rates in August start at £249 ($390) a night. This is a Category 6 hotel requiring 20,000 Starpoints for a free night. Other Starwood properties include the The Park Lane Hotel, London, Le Méridien Piccadilly, and the Sheraton Park Tower, London. 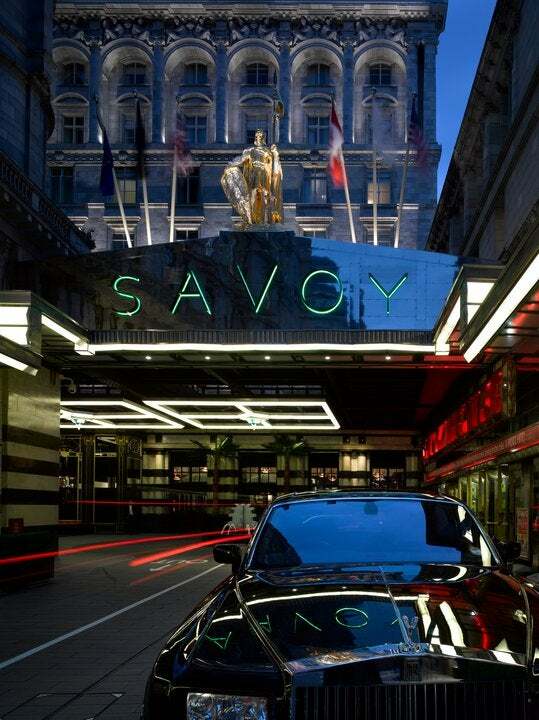 The Savoy, part of the American Express Fine Hotels & Resorts collection. When cardholders use a Visa Signature credit card to book a room through the Visa Signature Hotels program, they are eligible to receive extra perks such as discounted room rates, room upgrades, free breakfast, early check-in and late check-out, dining and spa credits and more. Visa Signature cards include the Chase Sapphire Preferred, Chase Sapphire, British Airways Visa Signature Card, the Hyatt Credit Card, the Marriott Rewards Premier Credit Card and Marriott Rewards cards, the Southwest Plus card, Bank of America’s Alaska Airlines and Hawaiian Airlines cards, Capital One Venture, Citi Hilton HHonors and Citi Hilton HHonors Reserve, US Bank FlexPerks, Citi AAdvantage Visa Signature, and many more, so chances are you’re carrying at least one of them in your wallet. Lobby area at Claridge’s, a Visa Signature property. Here is the full list of the 22 Visa Signature Hotels in London where cardholders receive complimentary perks and value-added benefits. Just for reference, however, they include: St. James’s Hotel and Club, The Dorchester, London Syon Park, a Waldorf Astoria Hotel, Andaz Liverpool Street, The Arch London, Town Hall Hotel & Apartments, The Stafford London by Kempinski, The Berkeley, Sanderson, Dukes Hotel, Boundary, Blakes Hotel London, One Aldwych London, Claridge’s, The Lanesborough, a St. Regis Hotel, Mandarin Oriental Hyde Park, London, The Egerton House Hotel, The Halkin, Belgraves, The Connaught, The Savoy, and the Baglioni Hotel London. With world-class hotels, a burgeoning restaurant scene, trendsetting shopping, cutting edge arts and architecture, and some of the best museums anywhere, London is one of the world’s most popular destinations. Its familiar sights include Big Ben, Westminster Abbey, the Tower of London, and the London Eye, but there are also charming neighborhoods like Primrose Hill, grittier bohemian boroughs like Shoreditch and Hoxton, and everything in between. Visit London has a detailed web site with updated information on everything from hotels and restaurants to tourist sights and current events, and is a great place to start when planning your trip. 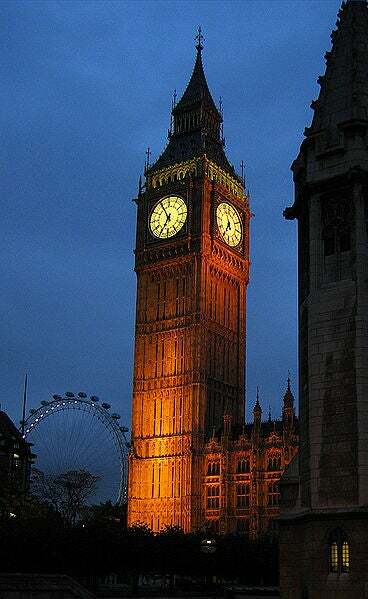 Big Ben has been telling time in London for over 150 years. Stop by Big Ben and the Houses of Parliament to get photos of the clock that’s been keeping time over the city for over 150 years, then cross the street to take a tour of Westminster Abbey where many of England’s most beloved monarchs and writers are buried (or at least commemorated with flagstones). Just across Westminster Bridge is the London Eye, a 135-meter (or should it be metre?) high Ferris wheel with 32 capsules (one for each of London’s boroughs) from which you can see all the way to Windsor Castle on a clear day. 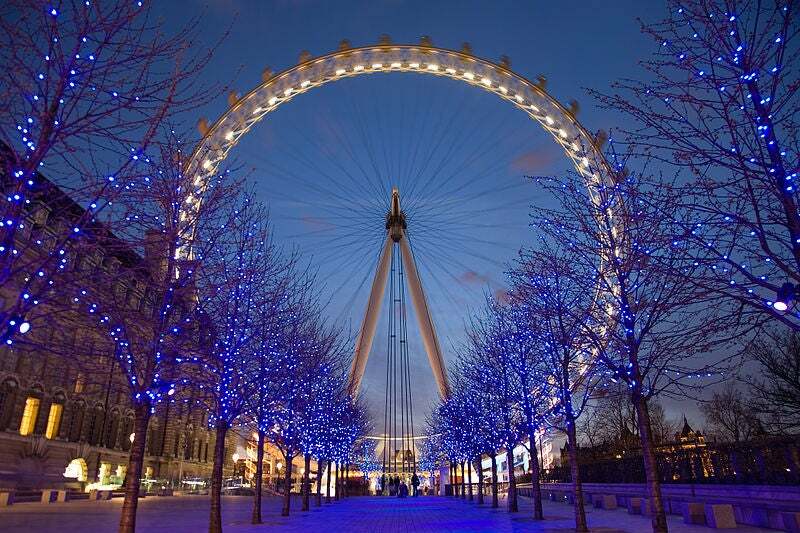 The London Eye is one of London’s newer landmarks. Farther east along the river, visitors can stroll across the stunning Millennium Bridge to visit St. Paul’s Cathedral, which was constructed by architect Christopher Wren in the 17th century, or cross back to the other bank and keep going east to visit the Tower of London, one of the city’s most visited sights. Here travelers can learn all about the fortress’s past as a prison and see the British Crown Jewels. Take a look at the British Crown Jewels at the Tower of London. London has some of the world’s best museums. The National Gallery on Trafalgar Square houses some of the most famous paintings in the world including works by Vermeer. The British Museum is the repository of a vast collection of art and artifacts from throughout human history, and includes famous pieces like the Rosetta Stone, the Magna Carta, and the Elgin marbles. 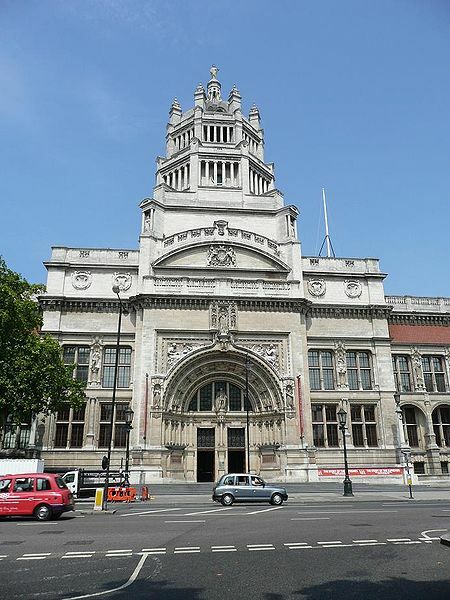 The Victoria and Albert Museum has an unparalleled art and design collection that spans 3,000 years. The Victoria and Albert Museum has a great collection of art and design. One of London’s most fascinating museums is the Churchill War Rooms Museum, where visitors can learn about the great man and how his government functioned during World War II. The Tate Museum’s collection dates from 1500-1900, while the Tate Modern is in a former power station on the banks of the Thames and contains modern and contemporary works. 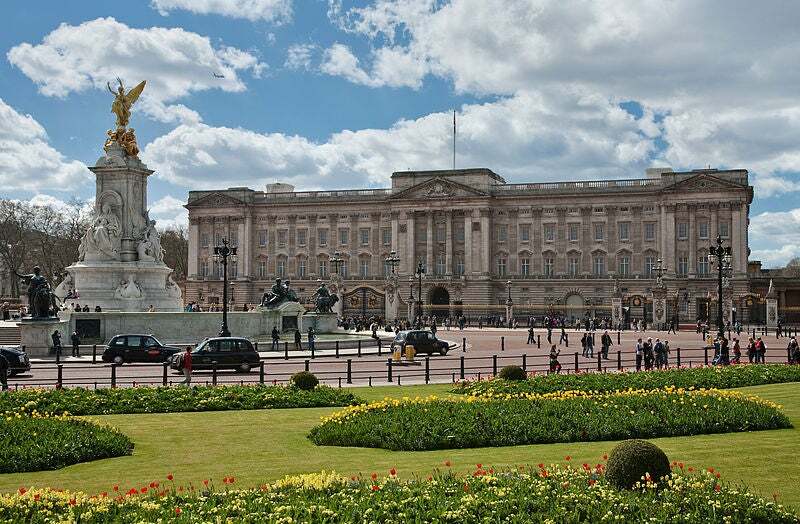 Visit Buckingham Palace’s State Rooms while Her Majesty is on summer vacation. Nearby, the reconstruction of Shakespeare’s Globe Theatre contains an exhibit on what life and the theater were like in Elizabethan England, and visitors can catch performances there in the summertime. Make time to visit some of London’s green spaces including Hyde Park, where Kensington Palace and Gardens, the Albert Memorial, and the Serpentine Lake are located. Buckingham Palace is also nearby, and is the Queen’s official residence in the city, but while she’s away in summertime, it is open for tours of the State Rooms. A great way to get the lay of the land is to take a bike tour of the city with Fat Tire Bike Tours, which are led by energetic young guides with a great grasp of the city’s history, as well as its contemporary hotspots. 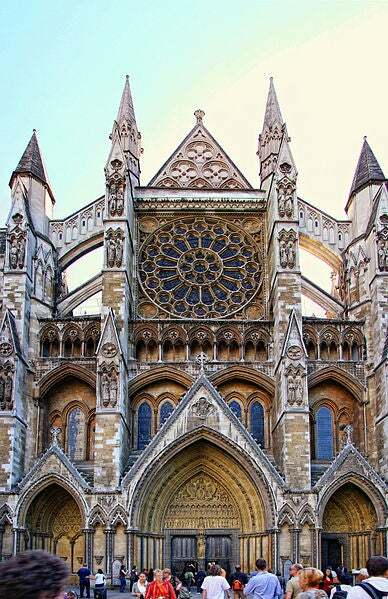 Pay your respects to Britain’s monarchs and poets at Westminster Abbey. London is not all about dusty old museums, though. The city is also one of the world’s shopping meccas. 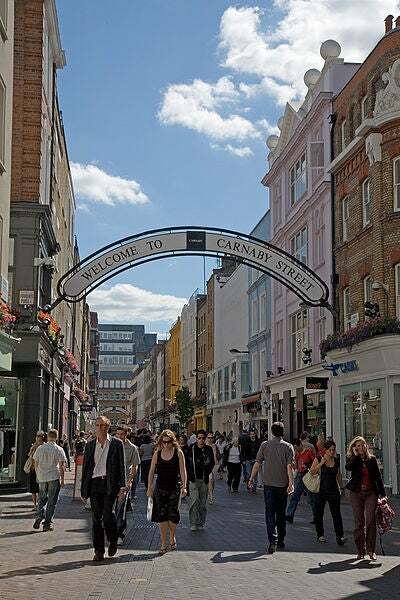 Bond Street is the place for brand-conscious fashionistas, while the gigantic Selfridges on Oxford Street and its archrival, Harrods, as well as the upscale Harvey Nichols in Kensington are all great department stores to browse. 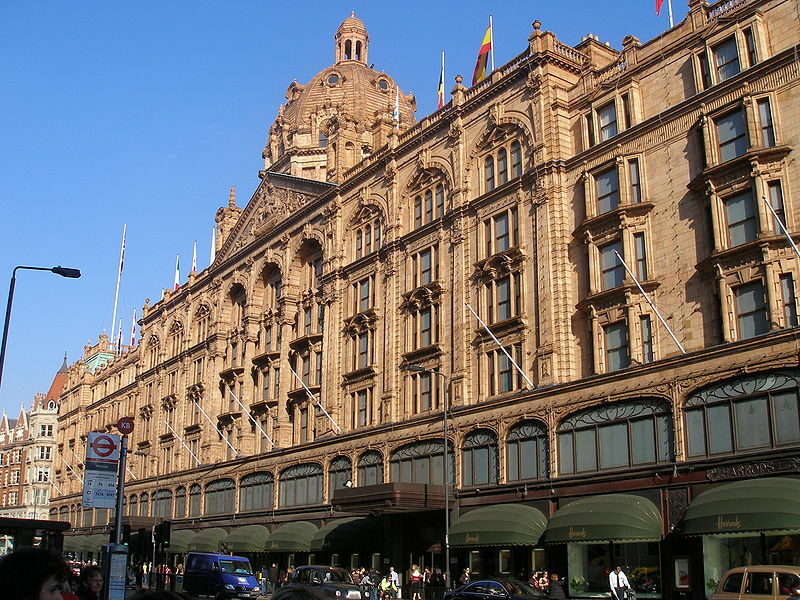 Harrods is one of London’s landmark department stores. Get a glimpse of the swinging ’60’s in London in the boutiques of Carnaby Street. London’s theater scene is one of the world’s best, with shows ranging from Broadway blockbusters to performance art. Most of the big productions are in the theatres of the West End, centering around Piccadilly, Soho and Covent Garden. For music, head to the expansive Southbank Centre and the Royal Albert Hall, while the Royal Opera House at Covent Garden puts on unmatched seasons of opera and ballet. You can find performance schedules and buy tickets here. 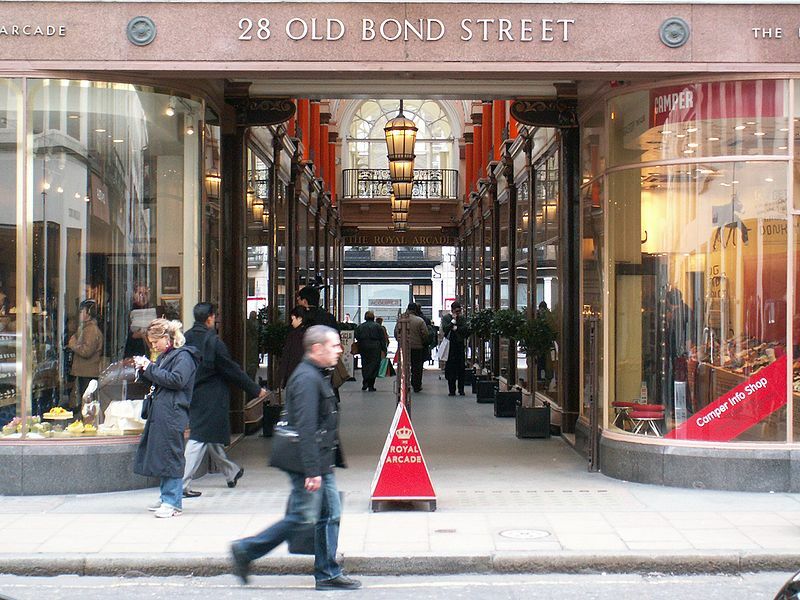 Fashionistas head to the flagship brand stores on Bond Street. 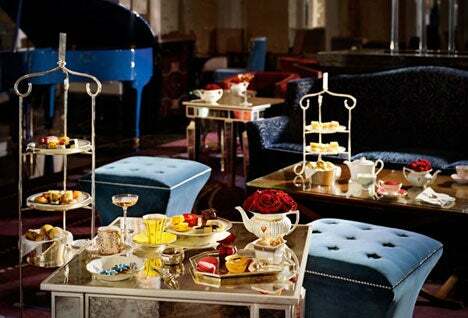 Another not-to-miss experience in London is the strictly observed English ritual of afternoon tea. Many of the city’s fine hotels offer tea service, as does Harrods, but for a truly quintessential, elegant experience, try the tea service at the landmark Langham Hotel’s Palm Court where the tradition of afternoon tea is said to have started nearly 150 years ago. You can’t come to London without experiencing the very English ritual of Afternoon Tea. With all that urban adventure, perhaps a day out in the country is called for. Take either the Underground or a river cruise up the Thames to Hampton Court, about 45 minutes outside the central city. In this Tudor Palace, visitors learn about daily life 500 years ago, and can spend a sunny day strolling the gorgeous gardens. 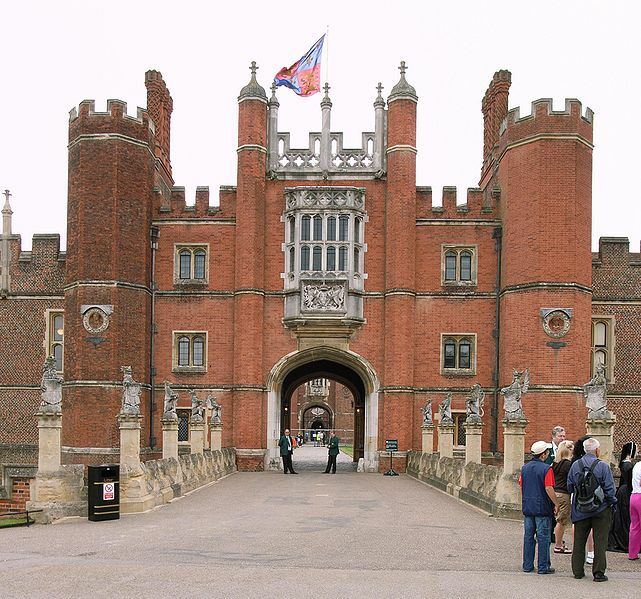 Visit Hampton Court for a taste of Tudor England. Of course, let’s not forget the reason you should be going to London this summer in the first place: The Olympics! They start today and last until August 12, so there’s still time to get airfares, rooms and tickets to lesser-known sports like the canoe sprint and trampoline.